Ganpati celebrations started from Pune. Lokmanya Bal Gangadhar Tilak initiated this festival in the city. More than a century we have celebrated this festival. The idea behind this to bring society together. 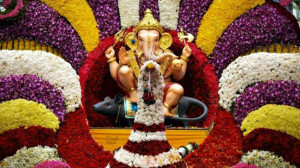 This year Ganesha Chaturthi celebrations were from September 17 to September 26. This is most revered (Manache) Ganpati. Kasba Ganpati has the honor of leading the immersion procession in Pune. The Legend behind it is when Queen Jijabai arrived in Pune in 1636 along with her a son Shivaji, an idol of Lord Ganesha was found near their home. Shivaji is said to have visited the temple on several important occasions. The temple was commissioned by Jijabai. Over two centuries later, in 1893, when Lokmanya Tilak supported the public celebrations of Ganesha Chaturthi, the Kasba Ganapati temple was among the first to lead the initiative. This is right bang in front of Shaniwarwada ( a heart of Pune).This Ganpati is also known as “Gram Daivat” (Village deity) of Pune. The decor was simple and we spotted a speaker, which is only used during aarti, unlike the other mandals that blast music throughout the day. Tambdi Jogeshwari is the name of Goddess Durga who is the native deity of the area, hence naming the mandal after it. It is second most revered Ganpati after Kasba Ganpati. it is said that Chhatrapati Shivaji Maharaj had faith in the temple. 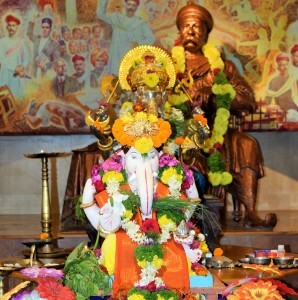 It is believed that looking at the popularity of Jogeshwari, Lokmanya Tilak decided to install an idol of Lord Ganesh here and gave it the position of the second. 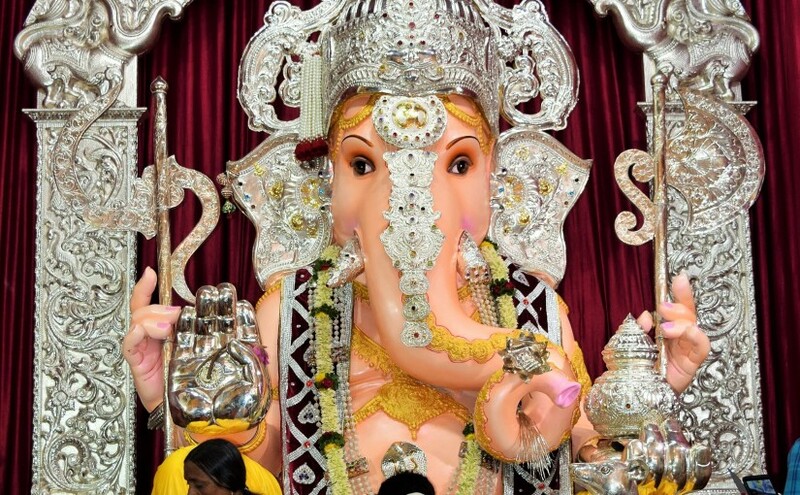 The highlight here is the a two-and-a-half-feet Ganpati placed in a silver palki. it has been celebrating the Ganesh Festival in a very traditional and cultural way. The Ganesh idol is made eco-friendly. The mandal organises bhajans during the festival and this year will donate essential items to an orphanage on Tilak Road. The Pandal is near Ganpati Chowk on Laxmi Road. 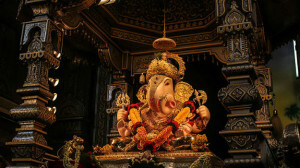 It is third most revered Ganpati. This was started in the year 1887. This established a unity between the Hindus and the Muslims. This was incidentally the first among the mandals which celebrated a 100 years of existence. Keeping with the tradition of beautiful decorations, the Mandal has put up a serene set up showing Lord Vitthala and Goddess Rukmini at the back of the Ganesh idol. The Balgajanan i.e. 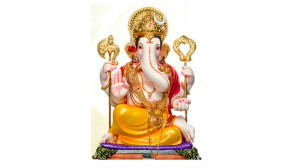 child Ganesh has been shown sitting on His mount the mouse. The serpent surrounding the belly of Lord Ganesh, the gold ornaments. 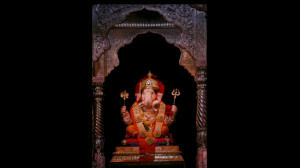 Traditionally, the idol would be installed at the gymnasium itself but was later moved to Ganpati Chowk. On its 100th anniversary celebrations in 1987 the practice of collecting money from locals to organize the festival was stopped. Since then, it is the members of the committee who contribute money to raise enough funds for organizing the festival. Next up is the Shri Guruji Talim Ganapati, it is forth most revered Ganpati.This one is the largest about 15 feet idol made of fibreglass in 1986 sits at the temple and is displayed during the Ganeshotsav as well. During the festivities is a mandal with decorations including chandeliers that are displayed for 10 days. The idols ornaments weight over 80 kg. A pandal is located at Pune’s Famous ladies market Tulsibag.